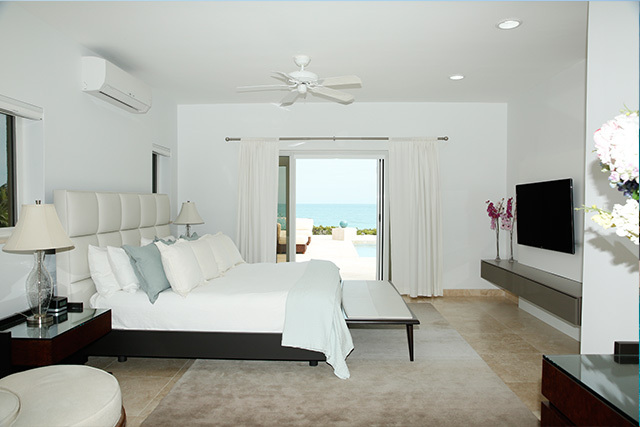 Welcome to Aramesh on the Beach, a stunning new luxury villa on exclusive Long Bay Beach in Providenciales, Turks and Caicos Islands, voted one of the top beaches in the world by Conde Nast and Trip Advisor. My wife and I are seasoned world travelers who love ocean views and all ocean activities. 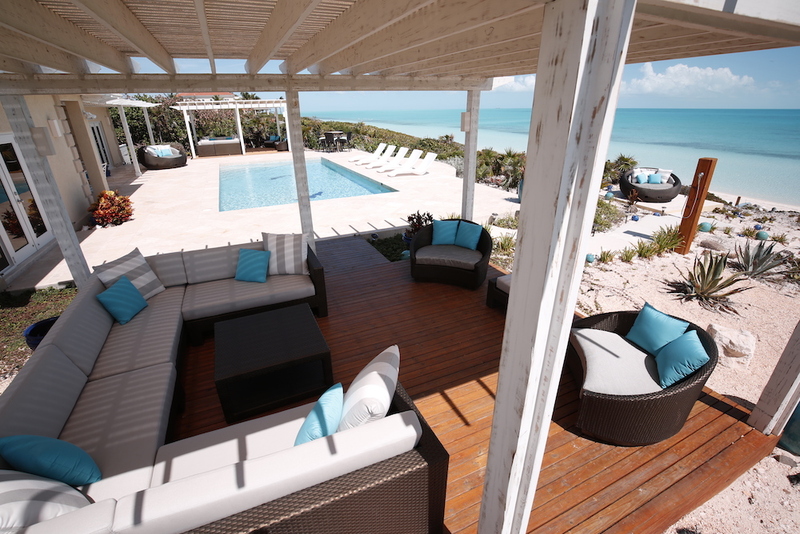 We fell in love with Providenciales, Turks & Caicos and decided to build a luxury beach villa on beautiful Long Bay Beach away from the crowds on Grace Bay. The luxury villa is new and is furnished to our exacting standards. Our attention to detail is visible throughout the villa and in the service staff. Our excellent Guest Services Manager is on call throughout your stay to assist with any requests. The luxury beach villa is ideal for friends, couples or families who want a luxury paradise experience. means peace and tranquility. This spacious luxury beach villa has a private island feel within minutes of high-end dining, activities and more, making it a perfect “peace” of paradise. 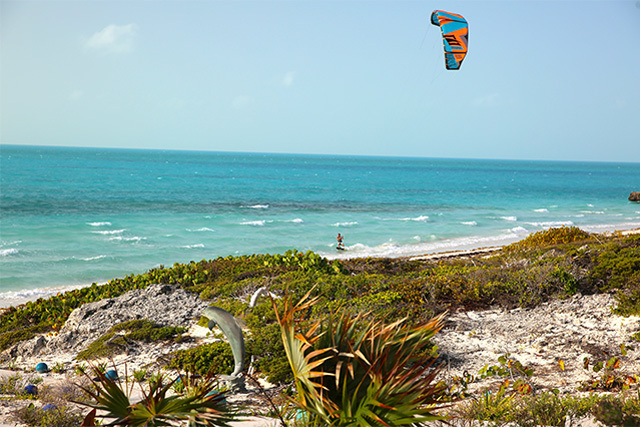 Aramesh sits on three miles of powder-soft white sand beach. The pristine turquoise water is shallow for about 100 feet, making it perfect for families to swim, snorkel, kite board, paddle board, kayak and jet ski. 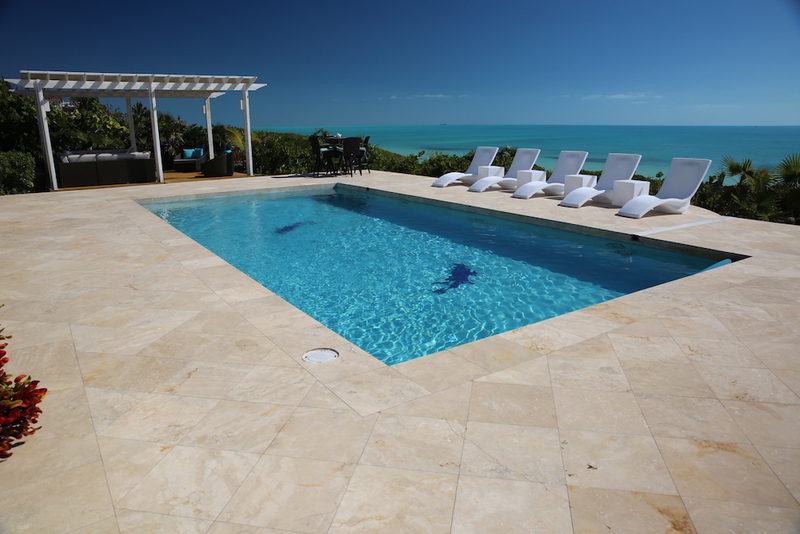 The luxury beach villa is on the widest and most private part of Long Bay Beach in Turks and Caicos. You will see osprey, pelicans and egrets fly above, tropical fish in the clear turquoise water below, and on any given day you might see a couple of people walk on the beach past the house. Long Bay is an ocean sports paradise. You can swim, kayak, snorkel, standupboard, kiteboard and jetski right in front of the house. And the shallow water is perfect for families with kids. The large beachfront deck is the most popular place to spread out and relax, with its pool, two shaded pergulas for cushy lounging, three beach and pool sunning decks, shaded dining and grill area, outdoor shower, steps to the beach and more. Aramesh is an 8 bedroom villa, all under one roof. Aramesh is the perfect luxury beach getaway for couples, friends and family. The villa is elevated for optimal views and privacy. Only the roofline is visible from the road or the beach. Aramesh enjoys 800 feet of vacant beach front to the West and a setback home to the East, providing the villa and pool deck with complete privacy. The villa is gated and has a monitored security system, and has the rare feature of being on a paved road.